There are many before and after projects we've seen here on homify that inspire us and makes us see what's possible with minimal effort and a small budget, whether it is kitchen transformations or the renewal entire living space. However, sometimes bigger and more intensive change is necessary or desired, and for this, more extensive undertakings are required. Today we will look at one such renovation, where a home had been stripped to its skeleton, so to speak, and started over from scratch. 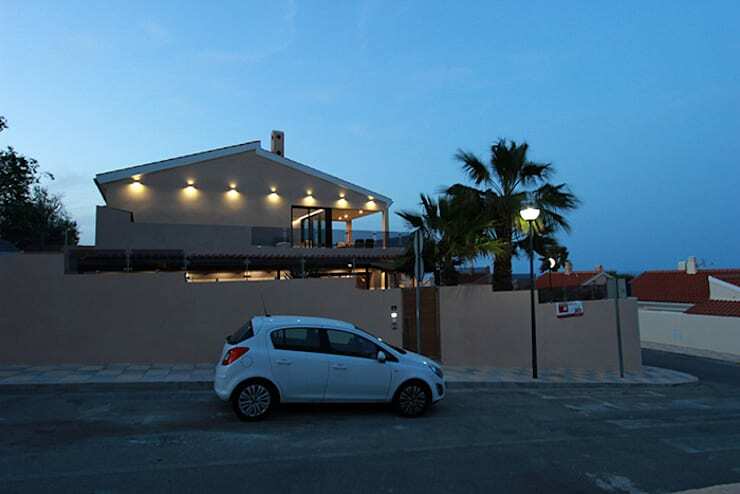 The house in question today, can be found in Gran Alacant, Santa Pola. Although the basic structure of the building is kept in tact, we will see great changes to the interior architecture, exterior elements and all of the furnishings and decoration. Are you maybe facing a home renovation yourself and feel disheartened by the work that lies ahead? Fear not, for this project will motivate you to see things through, as the results can be everything you dreamed of and more! We enter this Spanish before and after project in the centre of the house, the main living area, where we can already see a great deal of work being done. The entire space inside the house has been stripped down to the barest minimum. We can see that the ceiling boards have been removed, plaster on the walls had been taken off, and the floors sanded throughout. It definitely looks like there is a great deal of work ahead! Fortunately, the homeowners and clients of this project had enlisted the assistance of experienced professionals, and the results of this are more than satisfying! Just look at this transformed space—it feels like a proper contemporary home! Novodeco is the company responsible for this entire renovation, and they certainly made a great job of it. 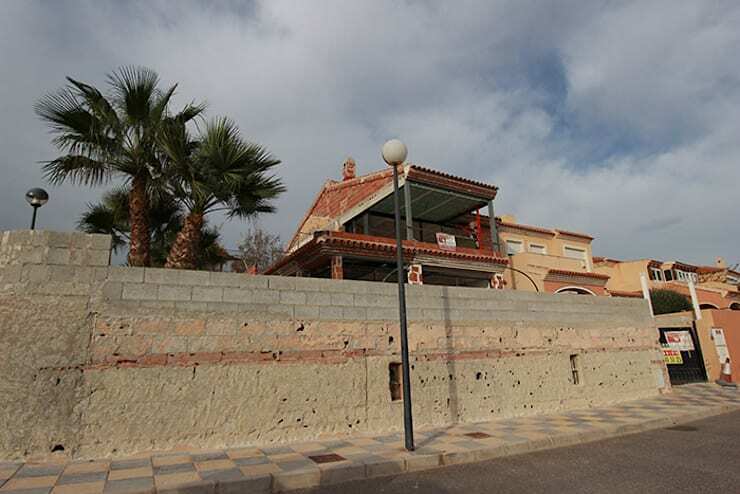 This restoration and renovation firm is based in Santa Pola, Spain, and has a reputation for spectacular transformation projects. This new space has been built up with warmth and style. 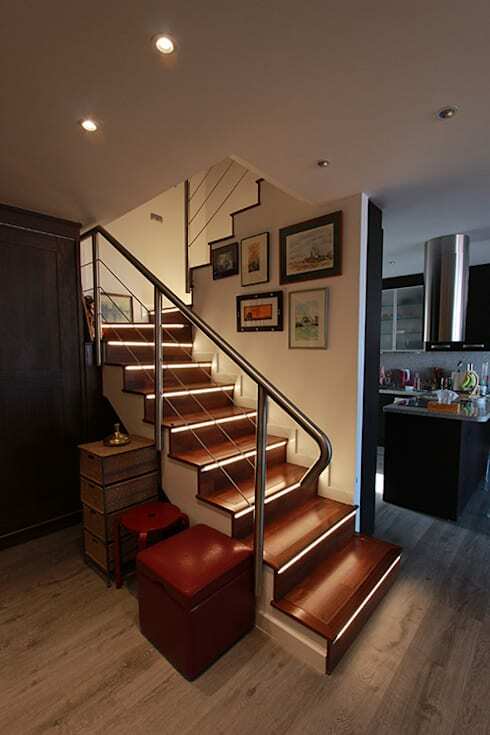 Wooden laminate floors form a good foundation for the area, LED-lighted stairs lead the eye upward through the room, and the neutral colour palette ensures a calm and stylish atmosphere. 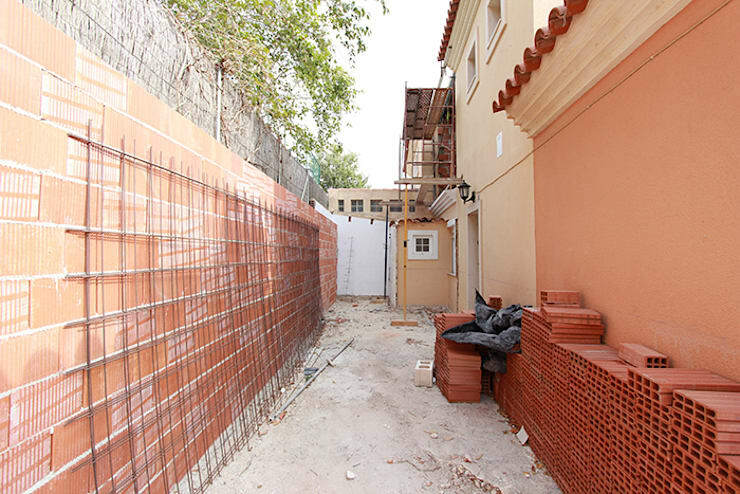 Now here we have a street view of the property during the renovation process. In this image we can see that everything about this house is being changed. It is clear that the clients wanted a whole new home, in which every aspect has been renewed. 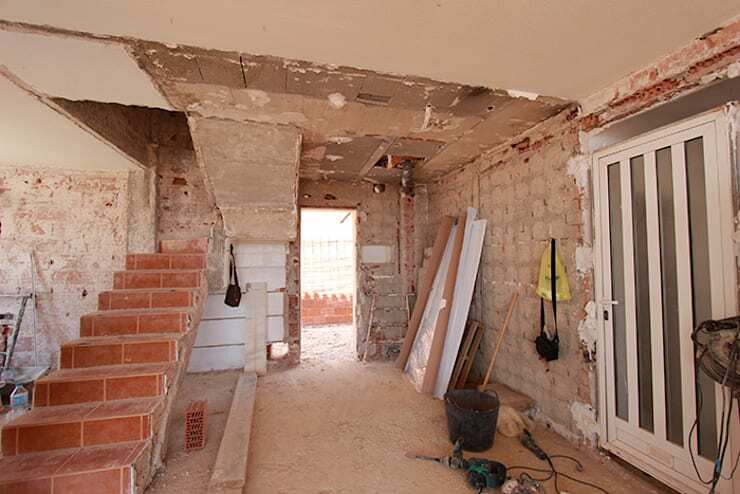 Here, we can see that even the exterior walls of the property had been stripped for renewal. All of the walls of the house had also been stripped of pain and plaster in order to start the exterior look from scratch as well. In the newly transformed facade of the house, we can see beautiful traces of the beautiful Isabelline style architecture, so appropriate to the geographic context of the home. This contemporary rendition so also pays homage to the architectural heritage of the region. The teracotta-coloured walls of both the house and the property boundaries give the building a lovely tropical flavour, complimented by the palm trees on the property. Decorative lighting on the side of the house creates a rhythmic aesthetic appeal. Another great element of the renewed exterior, although we cannot see it here, is that the Novodeco commissioned the shield of the family to be mounted on the outside walls of the property. This is a great touch to augment a sense of familial pride and ownership of the property. As this was such an entire renovation, the project included the transformation of indoor as well as outdoor spaces. We've already witnessed what could be done with the interior of the house, as well as for the overall exterior look of the home, but now we also want to look a little more closely at the outdoor living spaces. Here we have a narrow alleyway on the side of the building, which had been dead space before, as there was little that could be done in this unequipped area. From this image, we can clearly deduce that the professionals had big plans for the space! What a difference! 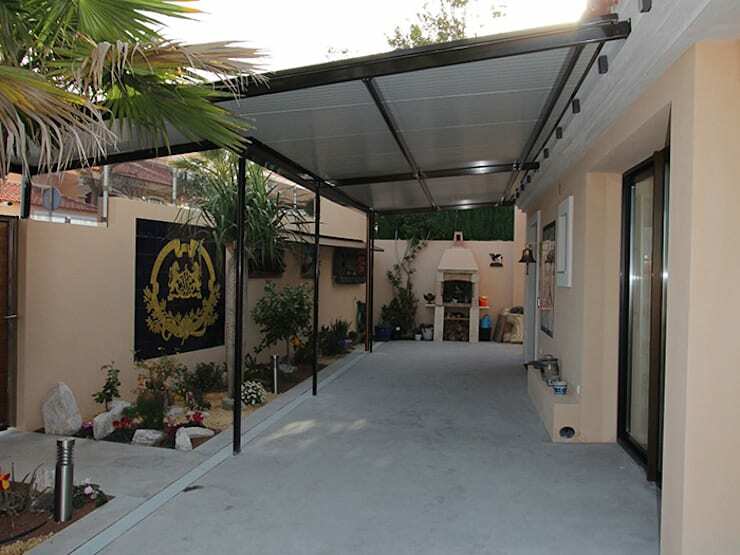 With the installation of an awning, a decorative garden, and a large grill, this terrace space can now be the social heart of the property. We can only imagine the festivities that would take place out here. One of the main goals of this project, was to make the house more energy-efficient. This included a range of adjustments and additions inside and outside of the home, including rain-water storage in the basement, installation of LED lighting throughout the home, and the use of solar-controlled safety glass for windows and doors. All-in-all, this before and after project not only received an A-grade on energy efficiency, but also on aesthetic appeal!